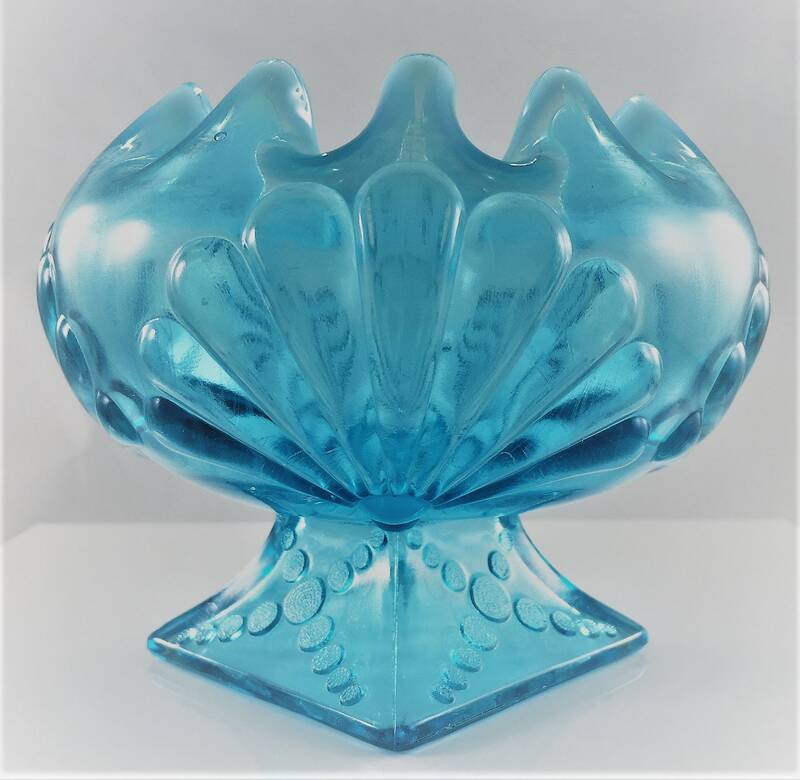 Featured is a magnificent piece of antique glass from the Jefferson Glass Company. 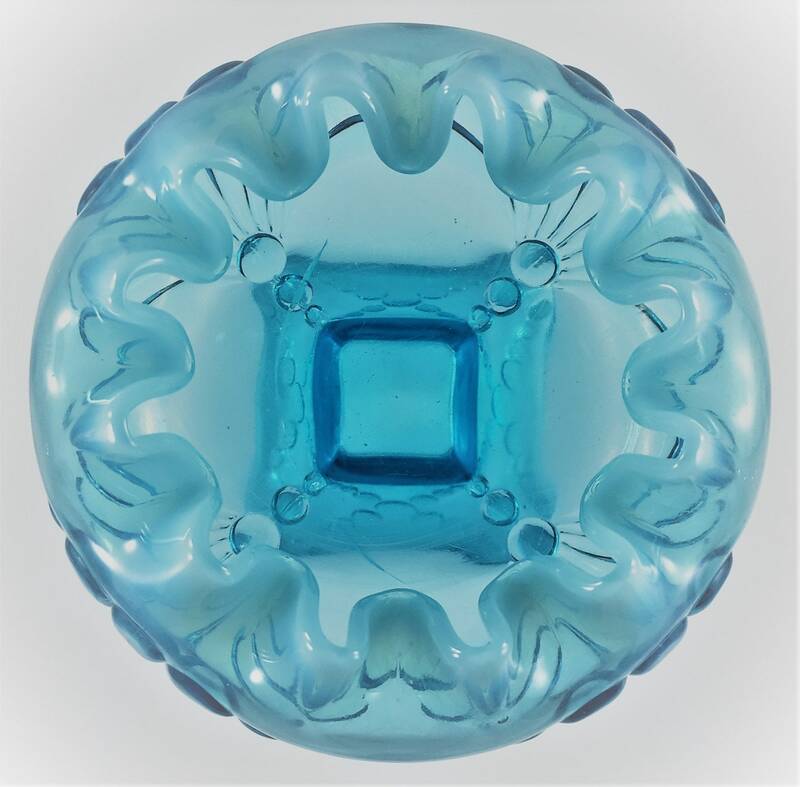 This beautiful Rose Bowl is in their Shells and Dots pattern and was produced around 1905. 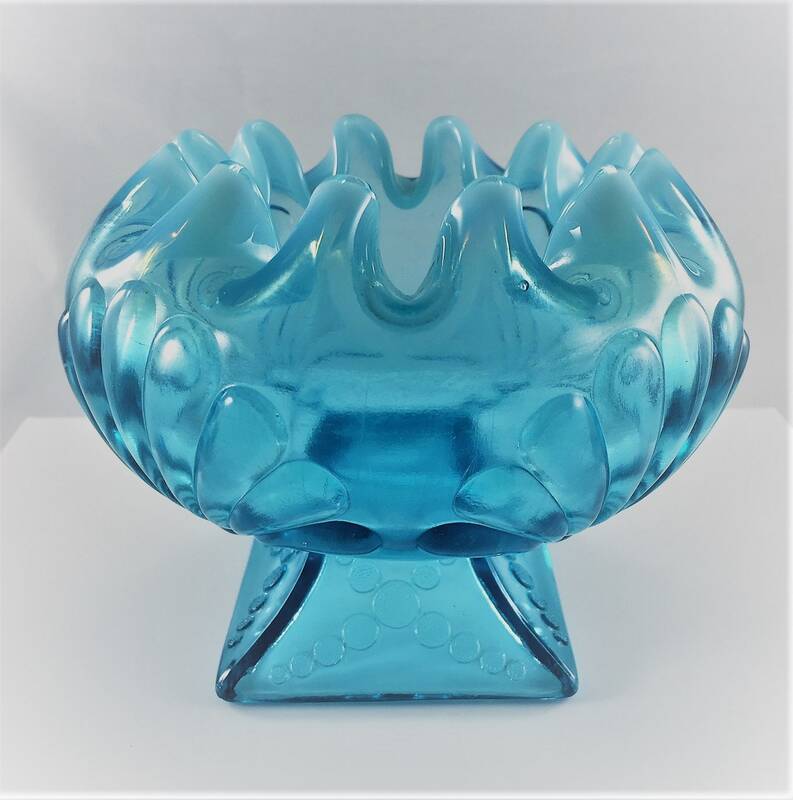 It has a wonderfully crimped opalescent rim and a square base. It measures about 4 inches tall and about 5 inches in diameter. This piece absolutely sparkles in the sunlight. This pieces unfortunately, has a crack in the bottom of the bowl. Regardless, this piece is more than 100 years old and is truly stunning on a shelf. 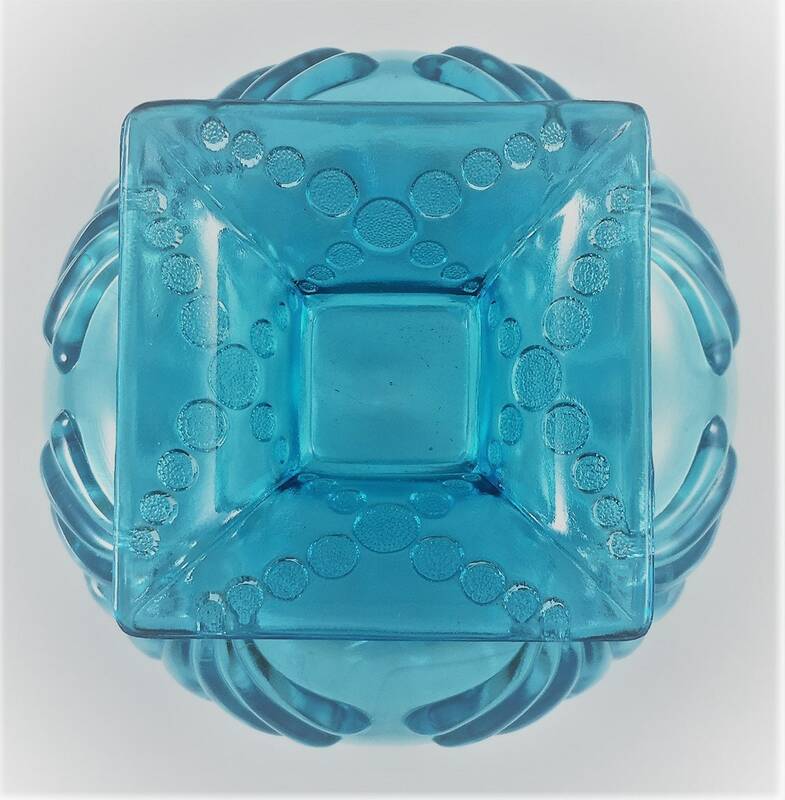 I've dramatically reduced the price to account for the defect, and I'm confident this piece will find it's way to the entry level collector on a budget or to someone who can just enjoy the inherent beauty of the glass.